Please cite as: Deflem, Mathieu. 2012. "Policing." Pp. 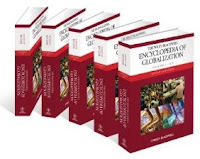 1663-1665 in The Wiley-Blackwell Encyclopedia of Globalization, edited by George Ritzer. Malden, MA: Wiley-Blackwell, 2012. Global policing activities involving criminal law enforcement agencies have in recent years increased in kind and evolved into a wide variety of forms. Yet, global policing is not a recent phenomenon but has a long history dating back to at least the early 19th century when national states, especially in Europe, sought to strengthen control over political dissidents and relied on police institutions to track down opponents of established regimes across state borders. From these early political origins, global policing gradually transformed in kind and objectives to become more permanently structured in international police organizations and to focus on more distinctly criminal, rather than political, enforcement objectives. During the early to mid 19th century, conservative political regimes on the European continent instructed their respective national police institutions to track down political opponents, including socialists, democrats, and anarchists. Because the political opposition was believed to organize across state borders, police agencies too would have to operate internationally. International police work for political purposes typically involved placing agents abroad, usually at a nation’s embassy, and have them operate in foreign countries through covert means. Occasionally, police of different countries would also collaborate with one another if such cooperation was believed to serve common political interests. On at least one occasion during the 19th century such cooperation was formally structured when in 1851 police agencies of seven German-language states set up an international police organization, called the Police Union of German States, which held regular meetings and established methods to facilitate cross-national information exchange. Because of its political objectives, the Police Union fell apart in 1866 when war broke out between Prussia and Austria-Hungary, two of the organization’s most important members. Evolving out of politically motivated international police activities were similarly internationally oriented policing operations for criminal law enforcement objectives. This functional transformation took place under influence of bureaucratization processes affecting police institutions whereby the means as well as the objectives came to be defined in terms of professional police standards. The means of policing became to be dominated by efficiency considerations irrespective of legal and political concerns, and the goals of policing were gradually transformed into criminal objectives that could be shared among police of different nations. In the late-19th and early-20th century, for instance, international police activities changed from a focus on political crimes such as anarchism towards the international trafficking in prostitutes, the so-called white slave trade. From the early-20th century onwards, attempts were made to structure international police cooperation efforts in a permanent organization. In 1914, the First International Congress of Criminal Police was held in Monaco, but the meeting failed to establish an international police organization because it remained framed within a legal structure and was not based on principles of bureaucratic policing. A later effort, the International Police Conference that was held in New York in 1922, also failed, largely because the United States at that time, when technological means of international transportation and communication were still relatively limited, did not face the international crime problems that plagued the European continent and its geographically closely connected states. In Europe, indeed, the International Police Congress in Vienna was successful in establishing the International Criminal Police Commission in 1923. The Commission set up a central headquarters and other means of information exchange among its member agencies and steadily grew in size. Reformed after the end of World War II as the International Criminal Police Organization, the organization is presently known as Interpol. In the decades since World War II, global policing efforts underwent some noted changes although the basic objectives of international police cooperation to exchange information, and of international police efforts abroad to collect information, have remained intact. During the 1950s and 1960s, the police agencies of some nations began to operate more independently, outside of the structures of Interpol and other cooperative structures. These police agencies began to prefer unilaterally conducted international operations and therefore established extensive international networks by stationing agents abroad. This system of so-called ‘legal attachés’ was particularly well developed among the police of politically and/or economically strong states, especially the United States and the USSR, and is these nations’ most preferred global policing method until this day. Towards the Western world, the global role of the most internationally oriented police agencies of the United States, such as the Federal Bureau of Investigation and the Drug Enforcement Agency, was so well developed that there took place an ‘Americanization’ of global policing, whereby international police activities of various kinds were directed by U.S. political concerns and/or policing techniques developed by U.S. agencies. Nonetheless, European police agencies also underwent independent developments directed at enhancing global policing activities, especially with the formation of the European Union in 1992. Specifically, the European Police Office (Europol) has been functioning from 1994 onwards to focus on serious criminal activities involving two or more member states of the Union. The criminal enforcement fields of global policing have expanded considerably in recent decades. The international trade in drugs, border control, and the international rendition of fugitives have been key concerns since at least the 1960s. In more recent years, the international trafficking in humans, cyber crimes, and terrorism have moved to the foreground. The most important catalyst to refocus the operational field of global policing and to elaborate the structure of global policing in general has no doubt been the impact of the tragic events of September 11, 2001. What the events of 9/11 have particularly revealed is that criminal police institutions play a central part in the wider constellation counter-terrorism institutions (especially at the political, military, and legal level) that reveals the relative independence of highly bureaucratized criminal law enforcement agencies. From the police point of the view, the so-called ‘global war on terror’ is in fact not a war involving enemies but a criminal justice task involving suspects. Additionally, terrorism has served as a catalyst to accelerate global police efforts in other fields of operation. Given the steady increase in globalization phenomena across the world, global policing is sure to in the coming years and decades. Bayer, M.D. (2010) The Blue Planet: Informal International Police Networks and National Intelligence. Washington, DC: National Defense Intelligence College. Casey, J. (2009) Policing the World: The Practice of International and Transnational Policing. Durham, NC: Carolina Academic Press. Nadelmann, E.A. (1993) Cops Across Borders: The Internationalization of U.S. Criminal Law Enforcement. University Park, PA: The Pennsylvania State University Press.